In 2017, the Brazilian government announced its intention to join the international trademark system (the Madrid Protocol)2 by mid 2018. In August 2018, various representatives from government, industry, concerned associations and different sectors of society, and specialists all publicly debated the pros and cons of the issue, and especially ways of harmonising international rules with the local system, which has a few particularities and incompatibilities. 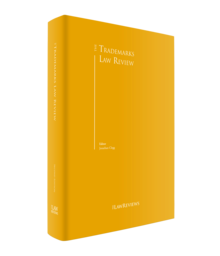 This chapter aims to give an overview of the Brazilian trademark system and its flexibility in terms of protection and enforcement, and it lists some major adjustments required for Brazil to be ready to join the international registration system. Brazil is a member of the Paris Convention, the TRIPS Agreement and the Nice Agreement,5 and, as stated above, intends to accede to the Madrid Protocol. The Brazilian National Institute of Industrial Property (INPI)6 is working hard to reduce its backlog. The INPI is responsible for registering trademarks and solving trademark disputes. It also maintains a register of licensing agreements on various intellectual property (IP) rights. Article 124 of the IP Law lists 23 grounds for refusal (absolute and relative). Article 126, Section 2 gives the INPI powers to refuse signs that infringe well-known marks.8 As well as being able, ex officio, to refuse trademark applications on the basis of almost all these absolute and relative grounds (by conducting extensive searches within its trademark database irrespective of any opposition), the INPI has powers to initiate a revocation if a mark is mistakenly approved. The INPI's powers to review and interfere in the language of registered licensing agreements were subject to criticism and, consequently, Normative Instruction No. 70 (NI No. 70)9 was issued, limiting the INPI assessments to formal requirements and ensuring that agreements are effective with respect to third parties. With effect from July 2017, therefore, NI No. 70 has required the INPI to take a more liberal approach, thus incentivising investments in Brazil. The Brazilian trademark system protects signs capable of being visually perceptible, provided they distinguish the goods or services of one enterprise from the goods or services of other enterprises. Despite having this visual requirement – which would, in principle, exclude non-conventional marks such as sounds and scents from trademark protection – the Brazilian legal system is flexible, permitting the registration of certain non-traditional marks, such as holograms, motions, gestural, position and three-dimensional marks. To date, there are no soundmark registrations in Brazil because the INPI has taken the view that they are not allowable according to the IP Law. However, trademarks consisting of sounds, scents, colours per se can be safeguarded by unfair competition rules. Slogans are eligible for trademark protection only when used as marks.13 Shape marks with functionality are also not registrable, except as patent designs. how those quality levels are to be enforced for the users by the brand owner. Article 7 bis of the Paris Convention triggered the protection of collective marks in Brazil. The applicant, usually an association, must clearly indicate the conditions to be fulfilled by the members of the association for using the sign. Article 124, Paragraph XXIII of the IP Law prohibits 'free-riding' and taking unfair advantage,17 thereby protecting unregistered marks18 known by third parties (not necessarily by the public) against use or registration. Company names are protected by the Civil Code (Article 1,166).20 Exclusive rights are enforceable21 regionally22 but it is also possible to apply for national registration. These names identify the legal person and must be registered with the Trade Registry for the company to exist and operate. Company names differ from trade names, which are optional and consist of the term under which the company trades.23 Trade names differ from trademarks, which function as source identifiers of goods or services. Article 176 of the IP Law states that 'a GI is constituted by an indication of source24 or an appellation of origin'.25 There are 18 recognised appellations of origin (10 of which are Brazilian) and 45 Brazilian indications of source (wines, coffee, cachaça and cheese). The Brazilian Network Information Centre (NIC.br) was set up by the Brazilian Internet Steering Committee (CGI.br). NIC.br created its own rules to apply to domain name cases. All .br domain names are registered through Registro.br, which is a department of NIC.br. Brazil applies the WIPO Uniform Domain Name Dispute Resolution Policy.26 Conflicts can also be resolved by the registry27 or through the courts. There are no multi-class applications and only one type of registration. It can take up to one month for an application to be published.28 The filing fee is 355 reais. If there is no opposition, examination of the mark currently takes up to 18 months, and it is estimated that this will be reduced to one year only by the end of 2018 (whereas in 2017, the estimated time frame was two and half years).29 However, if the application is opposed, that time frame almost doubles. Evidence of use should be submitted after the registration, to avoid revocations based on non-use. Use is not a prerequisite to registering a mark but is to keep it on the register. A mark can be removed from the register if the registrant does not renew it for a further 10 years, expressly withdraws it from the register, or has the registration revoked or invalidated. Marks can be fanciful, arbitrary, suggestive, descriptive and generic (Abercrombie's levels of distinctiveness). 'Suggestive', 'arbitrary' and 'fanciful' are prima facie registrable terms as marks (inherently distinctive). Generic terms are not registrable as marks. Descriptive signs have to acquire secondary meaning, so that it is possible for the public to recognise the sign as an origin identifier. Shape marks can be registered only when they have a distinctive character. Examples are the get-up of packages that have acquired distinctiveness through use and advertising. These can function as source identifiers. If a sign is formed by a descriptive component, it can be registered, but the INPI will probably issue a disclaimer in respect of this descriptive element, stating that there would not be exclusive rights thereon. Brazil has a first-to-file system, and applications are examined in order, based on the filing date. (The INPI uses international filing dates.) Priority is given only to elderly or disabled persons, by order of the courts, when the senior mark cited as anticipation is dead or belongs to the same economic group. A person who has been using a mark in good faith for at least six months is eligible to claim prior rights based in respect to a confusingly similar mark (preferential rights to registration). The owner of a well-known mark that has been infringed, but for which no application has been made in Brazil, will have 60 days after lodging an opposition to file a Brazilian trademark application. Anyone can oppose an application on absolute grounds,32 but only the proprietor of an earlier mark or earlier right may oppose an application on relative grounds. The most commonly used relative grounds for refusal are 'confusingly similar signs' (in respect of another mark or a previous company name) and 'dilutive marks'. Opposition proceedings are conducted in writing only; there is no hearing at the INPI. The applicant and the opponent will have only one opportunity each to submit their arguments and evidence. There is no fast-track procedure for opposition or mediation services provided by the INPI. Time extensions are not allowed. Usually, the opponent does not contact the applicant before lodging an opposition. Sometimes, cease-and-desist letters are effective. Costs are not recovered or paid to the winner of the opposition. The INPI compares the marks as a whole and not their differences. It applies tests for likelihood of confusion resembling the Polaroid test.33 The INPI and the courts try to assess as many factual aspects as possible. Some courts are now applying a test created as part of a legal study,34 known as 'the 360° Test'. Oppositions must be filed within 60 working days of the publication date.35 The applicant is then given the option of submitting counterarguments. After that, a decision is given, which can be appealed.36 Any oppositions lodged after the 60 days are disregarded. The INPI sometimes freezes a junior application – irrespective of opposition – to avoid conflicting decisions, that is to say, where there are two confusingly similar marks owned and registered by different persons. If it is not used within five years of registration, the mark can be vulnerable to revocation. The INPI or anyone with a legitimate interest can start this proceeding. The registrant will have to prove substantial use of the mark during the previous five years to retain registration of the mark. The most common appeals relate to refusals, registrations, revocation in respect of non-use, and disclaimers (usually in view of lack of distinctiveness). An act of grant can be appealed irrespective of any previous opposition. Appeals proceedings are in writing only (no hearings). The Official Bulletin notifies the owner to file its counterarguments. There is no fast-track procedure and no mediation services offered by the INPI. The appeals examiner is the president of the INPI.37 No costs are reimbursed or awarded to the winner of the appeal. The INPI can contact a party to clarify a specific point or to obtain better proof of a fact. This collaborative work optimises the system and allows better decisions to be reached. The act of lodging an appeal does not suspend the effects of the INPI decision that is challenged. The INPI's decision on appeal is the final administrative step, therefore that decision can only be reversed before the courts. The New Civil Procedure Code,38 the content of which was influenced by European and US systems, came into force in March 2016. Among the key procedural changes were the attempt to settle the case before the start of the litigation proper, a cooperative way of litigating in respect of all parties,39 and the agreements the parties can enter into (before and during litigation) regarding many aspects and steps of the litigation, such as nominating the court expert, prefixing costs, time frames, limiting types of evidence and appeals. More complex matters, such as patent cases (revocation or infringement), generally demand a technical expert opinion to assist the judge, who must be a specialist. The role of the judge is to affirm whether the legal requisites for the invention have been met or if an infringement has taken place. If a junior user is misusing a senior registered mark, the infringement lawsuit should be brought before a state court, taking into account, again, that the INPI does not need to join. The defendant in the infringement lawsuit usually claims the invalidity of the senior trademark before the federal court. The INPI will be one defendant and the senior trademark owner the other. The Brazilian judiciary is making its courts specialised with the aim of achieving better and faster judgments. In the state of Rio de Janeiro46 both state and federal courts at the first level are specialised in IP.4748 specialise in IP cases. In the states of São Paulo and Rio Grande do Sul, the state appeals courts each have two panels that specialise in IP matters, and São Paulo now also has first-level courts specialised in IP. The superior courts are the Superior Court of Justice (STJ) and the Supreme Court of Justice (STF). The former hears non-constitutional matters, controlling the application of federal law, as well as harmonising the Brazilian jurisprudence. The latter enforces the Constitution. The STJ has two panels that specialise in IP. Claims are usually grounded by statutory language, by the opinions of authorities or scholars, and by decisions issued by different courts and levels. Usually, the plaintiff notifies the defendant before bringing the matter to court. Unjustified threats and accusations of crimes or infringements can give rise to liability for the notifying party. Sometimes, the notified party claims in court a non-infringement declaration, so as to claim back damages. Attempting to settle before issuing legal proceedings is not mandatory but is advisable. Depending on the complexity of the dispute and amounts involved,50 the parties can opt to have the case heard by professional mediators or by a court of arbitration. The majority of IP cases in Brazil are dealt with by the judiciary system. Brazil has a 'double identicality' proviso51 based on which the clash between identical marks for identical goods or services amounts to prima facie infringement, as the signs will evidently lead to confusion. Despite this, the courts are still reticent about applying this rule, usually relying on confusion-based tests to refuse or revoke the junior mark. Although likelihood of confusion and dilution are the two main trademark-related causes of action, there exist a number of additional causes under unfair competition rules as foreseen in the IP Law, such as passing off, free-riding or unfair advantage. The statutory authority for trademark infringements based on confusion is Paragraphs V, XIX and XXIII of Article 124 of the IP Law, which cover misuse of marks, company names, trade names and domain names. The most common cause of action would be someone using a mark, which is identical or similar to a senior registered mark for similar goods. The same is applicable to a confusingly identical or similar junior company name or trade name in respect of an earlier registered mark for similar activities. If the junior sign (mark or company, trade or domain name) is capable of creating confusion, it would amount to an infringement of the senior registered mark. An earlier registered company name52 can also serve as grounds for having a confusingly similar trademark refused or invalidated. In NBA Properties v. NBA Gestão,53 the Federal Court of Appeals of the Second Circuit invalidated the registration of the mark NBA based on NBA's company name,54 which is registered only in the United States. There is no 'official' test used by the courts to assess trademark infringement. They usually try to take into account as many as factual aspects as possible. The IP Law requires investigation of the similarity of the signs and goods or services to learn whether they are likely to create confusion for the general public and whether an infringement has taken place.55 The STJ also uses this test,56 but the courts do not apply one single official test, despite the fact they are similar in many ways. But according to practitioners, this test does not cover post-sale confusion in other situations. More tests were developed and the courts apply different ones, depending on the circumstances of the case (e.g., the 360° Test – see Section III.iii). Unlike Germany58 or the United States, Brazil does not have dedicated legislation on unfair competition practices. The IP Law also regulates this in Article 195, which has an indicative list of 14 behaviours considered to be unfair trade acts. Paragraphs I, II and III are the most-used causes of action in unfair competition cases.59 They aim to prohibit fraudulent behaviour to divert another's clientele or to gain an unfair advantage against another party. As a member of the Paris Convention, any dishonest act may be considered to amount to an act of unfair competition.60 Free-riding and passing off are also forbidden under the umbrella of unfair practices. The same is applicable to consumer fraud and deceptive trade practices. Courts have ordered defendants or the domain registry to take down infringing domain names on the basis of trademark infringement and free-riding. Technically, unfair competition is actionable between competitors, but any other non-competitor's misconduct can be actionable on the basis of free-riding61 or unfair advantage. Typically, the plaintiff will present allegations and claims in writing, supported by all the documents it may have to prove the allegations, and the time to start doing this is at the initial filing of the complaint. If the parties do not settle at the conciliatory and mediation hearing,62 the defendant will have 15 working days63 to lodge a response, contesting the plaintiff's allegations, claims and evidence, as well as to submit its own evidence to persuade the judge. The plaintiff will then have a period of 15 working days to comment on the defendant's documents and arguments, which can lead to the dismissal of the case or raise any procedural irregularity. At this point, both parties will accept some facts as true, but some will be controverted. The disclosure here should focus only on controverted facts. If any party wants to take a deposition or thinks that the opinion of a technical expert is needed, the judge will analyse the requests and, if sustained, schedule a hearing for the depositions and nominate a specialist to provide a technical opinion. Cost awards are granted to the winner of the litigation. These include reimbursement of court fees and costs and attorney fees, which can be up to 20 per cent of the economic value of the matter. The costs are awarded solely to the winner, and the attorney fees are to remunerate the lawyer's work during the litigation. As a general rule, the contractual fees paid by the client to its lawyer are non-refundable by the loser. It is difficult to estimate how long the disclosure can take. It depends considerably on how efficient and specialised the court is and on the complexity of the matter and the evidence produced. the amount by which the plaintiff should reasonably have profited if no infringement had been committed. Moral damages can also be awarded as 'punitive damages', to discourage the defendant from committing further infringements. The customs authorities can seize imported goods, on the grounds that they may infringe trademark rights as an anti-counterfeiting policy68 based on the IP Law69 and the TRIPS Agreement. Having seized the goods, the authorities will contact the Brazil attorney responsible for the relevant brand owner in Brazil,70 so that he or she can issue, on behalf of his or her client, civil or criminal proceedings against the potential infringer, demanding an injunction to be granted to retain the seized goods until a final judgment is made. The time limit for this is 10 days. If this is not done, the goods can be released and distributed to the Brazilian market. It can be argued that this procedure is transferring to the brand owner the onus and costs for obtaining a court decision to block the goods and declare the importer a criminal who has infringed trademark rights. The role of the customs authorities should ordinarily be to find and seize potentially infringing goods, to avoid infringing goods entering the Brazilian market. The Madrid Protocol is the hot topic in Brazil, following the announcement in 2017 of the country's intention to join this agreement by mid 2018. With the country moving towards joining the international system, various representatives from government, industry, concerned associations and different sectors of society, as well as specialists, all publicly debated the pros and cons of the issue in August 2018. It is now clear that these different elements in Brazilian society have spoken virtually with one voice in favour of signing the agreement, as it will make Brazil more international in various ways and will incentivise international commerce and lead to the creation of more jobs. There is also a consensus that Brazil should seek major adjustments, or make reservations, to the Protocol or to national legislation in respect of certain issues to implement properly the international system in relation to existing local rules. Before considering these unresolved issues, listed below, note also that there will be one major change in respect of taxes paid when money is sent overseas. At present, taxes of approximately 30 per cent are charged for doing this. Once the international system is in effect, these payments will be made directly to the INPI, who will remit the funds to the relevant authority abroad (i.e., the tax increment of 30 per cent will no longer be applicable). As stated earlier, the INPI is already capable of meeting this deadline. However, if this time limit is not observed, according to the international system, foreigners' applications would be automatically allowed, while Brazilian applications would have to wait in the queue for the regular examination72 (under the rule currently in place). Note that the INPI conducts an ex officio full examination of all grounds for refusal (relative and absolute) irrespective of oppositions, and evidently it is taking longer for an application to be accepted than is the case, for instance, for an EU trademark73 (following examination only if an opposition is lodged). In effect, either the Brazilian examination process must change or, in accordance with the principle of equality before the law, the benefit of automatic registration must also be extended to Brazilian applicants (there must be no queue jumping in any case). Article 227 of the IP Law establishes a requirement for a foreign trademark proprietor to have a local lawyer or agent as a representative in Brazil, but this is not included in the international system. The requirement is quite important for Brazilians, as it is faster and cheaper for summoning and subpoena purposes should they have to sue a foreign trademark proprietor in the Brazilian courts.74 It is critical therefore for Brazil to maintain this requirement. The use of Brazilian Portuguese as the official language for the specification of goods and services will be material in analysing relative grounds for refusal and, notably, whether signs are confusingly similar or not. This stipulation should also be seen by foreigners as a guarantee of the due process of law and legal security. According to the Brazilian system, applicants must declare, under penalty of committing perjury, that they are legally engaged in the activities related to the specification of goods or services. This rule must be either abolished for all (Brazilian nationals and foreigners) or applicable to all users, in keeping with the principle of equality before the law. Article 135 of the IP Law says that 'an assignment must include all the registrations or applications, in the name of the assignee, for identical or similar marks relating to a product or service that is identical, similar or akin, on the penalty of cancellation of the registrations or shelving of the unassigned applications'. Again in keeping with the principle of isonomy, this rule should either be applied to all or simply revoked for all. Some jurisdictions demand that trademark proprietors periodically provide evidence of use of their mark, among other things to avoid 'deadwood marks'. Under Brazilian law, evidence of use is only required to prevent revocations based on non-use, and deadwood marks are considered illegal. It is common ground between the national and international systems that deadwood marks create legal obstacles in the trademark registration system and hinder industrial progress. The Brazilian system should take the opportunity presented by accession to the Madrid Protocol to require from all users evidence of use, at least when renewing a registration (every 10 years), as a means of fighting the legal obstacles and conflicts created by deadwood marks, and as did, for instance, Mexico when it signed. The Brazilian system already allows for multiple owners of a single mark, but the INPI has been reluctant to accept and implement this option, for administrative and organisational reasons. By implementing this option, Brazil would avoid certain problems, such as court disputes over ownership of musical bands' marks, and various similar situations that arise in practice when a mark belongs to more than one person, and it is an opportunity for the country to incorporate another useful regulatory practice into its trademark regime. The international system works with the possibility of having one mark in various classes simultaneously (i.e., in only one application), but Brazil does not have a multi-class option, under current INPI practices. If Brazil were to implement the multi-class option, on one hand the INPI would allow the system to become more dynamic and practical (no longer obliging applicants to file one single mark per class to protect their rights), but on the other hand the INPI may see its revenue reduced. A solution for this could be to allow a multi-class application and charge for each of the classes. This represents another opportunity for Brazil to harmonise its registration system with the international one, while also extending the multi-class option to Brazilians, in keeping with the principle of equality before the law. It seems only a matter of time, and negotiation, before Brazil joins the Madrid Protocol for the international registration of trademarks. By signing the Madrid Protocol, Brazil will take a step towards internationalising not only its trademark system, but also its economy, thereby generating more jobs, etc. 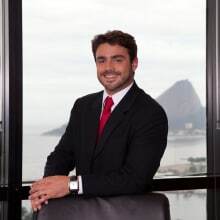 1 Mauricio Maleck Coutinho is a partner at Veirano Advogados. 2 The Protocol Relating to the Madrid Agreement Concerning the International Registration of Marks. 3 Federal Law No. 9,279, of 14 May 1996, known as the Industrial Property Law. 4 Copyrights are governed by a separate piece of legislation – Federal Law No. 9,610 of 1998. Federal Law No. 9,609 of 1998 regulates software. 5 The Nice Agreement Concerning the International Classification of Goods and Services for the Purposes of the Registration of Marks. 6 The INPI, the official government body responsible for industrial property rights in Brazil, is an autonomous federal government agency of the Ministry of Industry, Foreign Trade and Services. Its services include registration of trademarks, industrial designs, geographical indications, software, patents, technology transfer and franchise agreements. 7 Constitution of the Federative Republic of Brazil. Title II: Fundamental Rights and Guarantees, Chapter I: Individual and Collective Rights and Duties, Article 5, Paragraph XXIX: 'the law will guarantee the property of marks and other distinctive signs, in view of the public and social interests and the economic and technological development of the country'. 8 Within the meaning of Article 6 bis (I) of the Paris Convention. 9 Normative Instruction No. 70, of 11 April 2017, on the approval of agreements. 10 Article 124, Paragraph VIII of the IP Law. 11 Registration No. 006088244, owned by Visa International Service Association. 12 Mauricio Maleck Coutinho, 'Sounding it out: A global view on registering sound trademarks – Part 2,' accessed on 3 October 2017 at www.thebrandprotectionblog.com/sounding-it-out-a-global-view-on-registering-sound-trademarks-part-2/. 13 Article 124, Paragraph VII of the IP Law: 'signs or expressions used only as a means of advertising'. III – collective mark: that used to identify products or services originated by members of a given entity. 15 Evidence of use and fame in the major Brazilian commercial regions is sufficient, which is similar to the European approach (cf. the EU Trade Mark, or EUTM, which was formerly the Community Trade Mark, or CTM). 16 'Trademark law will probably develop in the sense of always giving more power to trademark owners, when third parties demonstrate interest in taking advantage, in a parasitic way, of the reputation of the marks, or, more precisely, of the investments made to promote the marks.' Nuno Pires de Carvalho, 'The Structure of the Patent and Trademark systems – Past, Present and Future,' Ed. Lúmen Júris, Rio de Janeiro, 2009. 17 In contrast with the position in Europe, unfair advantage is not only linked to dilution cases. 18 Pedro Marcos Nunes Barbosa, 'The Mark Evidentially Known of Article 124, Paragraph XXIII of the IP Law and its Legal Implications,' article dated 20 March 2007, accessed on 31 July 2017 at http://nbb.com.br/pub/propriedade23.pdf. 19 Other specialists affirm that only highly renowned marks within the meaning of Article 125 of the IP Law can be protected under the dilution doctrine. 20 Article 124, Paragraph V of the IP Law constitutes a relative ground for refusal of a mark that infringes an earlier company name. 21 The regime described above regarding famous marks is applicable to the enforcement and protection of company names that also perform as marks, particularly in view of the language of Article 8 of the Paris Convention. 22 In the federal state where the headquarters is located. 23 When applying to register a company name, the applicant provides the trade name. An indication of source is considered to be the geographical name of a country, city, region or locality of its territory, which has become known as a centre of extraction, production or manufacture of a determined product or for providing a determined service. An appellation of origin is considered to be the geographical name of a country, city, region or locality of its territory, which designates a product or service, the qualities or characteristics of which are exclusively or essentially due to the geographical environment, including natural and human factors. 27 For example, preferential rights when two companies are applying to register a domain name simultaneously. 28 If an individual or a small business, the applicant can benefit from a considerable discount in the official fees. This measure aims to incentivise economic development, etc. 29 In 2005/2006, the estimated time frame was five years. VI – signs of a generic, necessary, common, usual or simply descriptive character, when related to the product or service to be distinguished, or those commonly used to designate a characteristic of the product or service with respect to its nature, nationality, weight, value, quality and moment of production or of giving a service, except when presented in a sufficiently distinctive manner'. 31 Article 124, Paragraph II of the IP Law. 32 The lack of distinctiveness is the most common absolute ground for refusal (generic or descriptive). 33 Polaroid Corp. v. Polarad Elecs. Corp., 287 F.2. d 492 (2d Cir. 1961). 34 Filipe Fonteles Cabral and Marcelo Mazzola, ABPI Magazine No. 132 (Brazilian Intellectual Property Association), September 2014, p. 16. 35 Official opposition fee: 355 reais. 36 Official appeal fee: 475 reais. The granting decision can be appealed but not the allowance. The mark is entered in the register, then, after the final fee is paid (745 reais), the registration is granted and the certificate issued. 37 The legal team and clerks or examiners, who issue an opinion to be confirmed and signed by the president. 38 Federal Act No. 13,105 of 16 March 2015. 39 Plaintiff, defendant and judge; proceedings can therefore take a considerable time to achieve a fair and effective outcome. 40 In the previous system, this hearing took place in the middle of the litigation process, after the parties had filed the response and rebuttals, and informed the court of the evidence they wished to submit. 41 If the fact is accepted as true by both parties, there is no need to invest time and money in bringing evidence on this fact to the court. 42 The appeals courts (state and federal) review all the facts, allegations and evidence produced by the parties (i.e., the dispute as a whole), with a view to reversing, invalidating or upholding the final first instance decision. 43 This 'division of work' was established by Article 109, Paragraph I of the Constitution. 44 Taking into account that an invalidated mark cannot be enforced or infringed, the infringement lawsuit is usually suspended, pending a judgment on the revocation case filed before the federal court. 45 For example, despite having the trademark registration cancelled, the state court held that there was a trademark infringement, resulting in the defendant having to pay damages and stop using the mark. 46 There are seven state courts in the city of Rio de Janeiro (Centre Court) and four federal courts in the Rio de Janeiro judiciary section. 47 The federal courts are specialised in intellectual property matters, therefore including copyright. Civil state courts in Rio de Janeiro hear copyright cases. However, specialised courts do not have jurisdiction in copyright matters alone, but only in mixed matters, such as trademarks and copyright. 48 The Second Circuit hears appeals from the states of Rio de Janeiro and Espírito Santo. Each circuit embraces two or more states. The INPI's principal office is located in the city of Rio de Janeiro, in the state of Rio de Janeiro. 49 Code of Practice for pre-action conduct in intellectual property disputes in United Kingdom. Accessed on 4 October 2017 and available at https://www.reedsmith.com/en/perspectives/2007/04/code-of-practice-for-preaction-conduct-in-intellect. 50 Practitioners say that matters costing more than 1 million reais warrant being heard by a court of arbitration. The following are not registrable as marks: reproductions or imitations, in whole or in part, even with additions, of a mark registered by a third party, to distinguish or certify a product or service that is identical, similar or akin, and which are likely to cause confusion or association with the third party's mark. 52 It is hard to find an earlier registered domain name invalidating a trademark or a domain name as first the company is founded (the company name is registered) and then the domain name and mark are applied for. 53 NBA Properties Inc. v. NBA Gestão Ltda. and the INPI. Appeal No. 0537431-03.2004. .4.02.5101 (TRF2 2004.51.01.537431-5), Judge André Fontes, 28 August 2007. 54 Applying Article 124, Paragraph V in conjunction with Article 8 bis of the Paris Convention. 55 Article 124, Paragraph XIX. 56 Similar marks and goods are likely to cause confusion. Three factors must be verified simultaneously: similarity of the signs, similarity of the goods or services, and likelihood of confusion. 57 João da Gama Cerqueira, Luiz Gonzaga do Rio Verde and João Casimiro Costa Neto, 'Tratado Da Propriedade Industrial,' 1st Ed., Vol. 2, Editora Revista dos Tribunais 1982, pp. 68 and 69. 58 German Unfair Competition Act (UWG). 60 In a specific, relevant market and in view of the standard behaviour. 61 Free-riding is also a cause of action to prevent dilutive practices. 62 Presided over by a professional mediator, not the judge. What is mentioned during this hearing is not taken into account by the judge, who will not learn what was said by the parties during the hearing. The aim of this hearing is to attempt to settle the case. 63 All the deadlines, according to the new system, are counted in working days, so that lawyers do not have to work at weekends. 64 The Brazilian system makes use of technologies such as videoconferencing. A good number of court files are digital. The INPI's records are digital as well. 65 An injunction is a preliminary decision issued at the beginning of legal proceedings in which, at the end, in the case of a favourable outcome, the injunction would be confirmed and the plaintiff awarded damages. Usually, there is a single case to seek the injunction and any other compatible claim. 66 Urgency has two independent bases: to prevent the plaintiff suffering severe damage (which is difficult to ascertain) or to ensure that the plaintiff will get the benefits of a final favourable decision (preventing harm through the efficiency of the legal proceedings). True claims are eligible for injunctive relief irrespective of urgency. 68 Federal Law No. 6,759 of 5 February 2009. The customs authorities, ex officio or at the request of an interested party, may seize, at the time of checking, any products carrying falsified, altered or imitated marks or a false indication of source. 70 In Brazil, it is mandatory to have a local lawyer to represent a foreign trademark proprietor (Article 227 of the IP Law). 71 The majority of these issues can be addressed by reservations when signing the Protocol or by amending the Brazilian IP Law; a few can be addressed through measures that can be taken by the INPI. 72 There are approximately 180,000 Brazilian applications per year and almost 20,000 non-Brazilian applications. 73 Also known as an EUTM – see footnote 15. 74 Summoning someone with a subpoena overseas is quite an expensive and very slow process, which demands communication between international bodies, and between the judiciaries concerned. 75 According to the Federal Constitution, Brazilian Portuguese is the official language of all legal and administrative cases. Documents written in different languages must be translated to be valid. 76 The co-ownership and multi-class application options could be put into practice in Brazil simply by the INPI (i.e., without changing the IP Law) as the system already allows for these. 77 Currently, office fees and revenues are not directly allocated to the administration of the INPI but go to the government, which administers the INPI's costs and allocates it operating funds. It has been said that unless the INPI is financially independent, it will be impossible for it to put the new system into practice properly.